Home / Blog / For International Women’s Day 2018, the heroines who inspire us! For International Women’s Day 2018, the heroines who inspire us! Today (8 March 2018) is International Women’s Day and, to mark the occasion, our campaigning heroines reflect on the heroines who have inspired them. 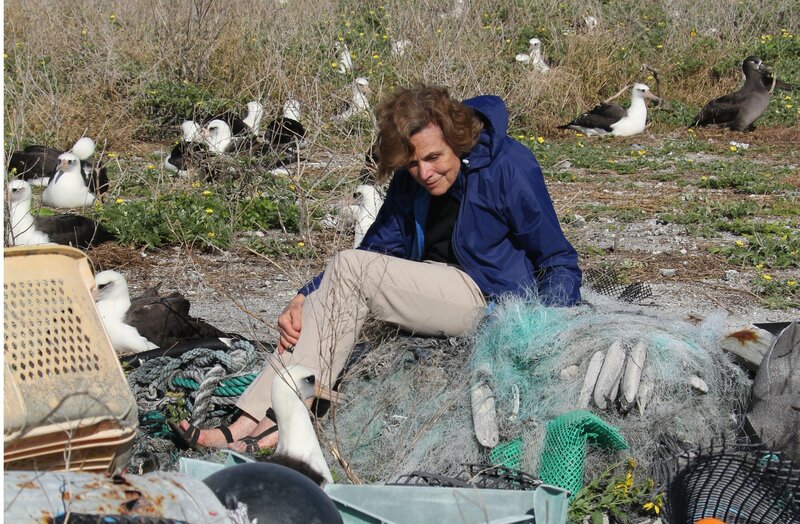 My inspiration is Sylvia Earle. Quite simply, she is the world’s foremost ocean advocate, combining unquestionable scientific credibility with a fearless determination to speak on behalf of the millions of species that rely on the ocean. Most recently, I saw her speak at the Our Ocean conference in Malta, in October 2016, and she questioned why the conference was called “Our Ocean” – wasn’t this “a little presumptuous?”. She is an absolute legend and yet so humble in the face of the wonder of the ocean – an inspiration to me every time I struggle with the monumental challenges we need to overcome. Since elephants are led by their matriarchs, it seems only fitting to recognise the amazing and inspirational women who are leaders in elephant conservation: Dame Daphne Sheldrick and her work to rehabilitate and reintroduce orphaned elephants to the wild; Cynthia Moss and Joyce Poole, who have devoted their lives to documenting the behaviour and movements of elephants; Rachel McRobb, who leads a home-grown NGO in Zambia, working to tackle poaching and illegal trade; Winnie Kiru, an international advocate for elephants. And, finally, the unsung heroes – all the brave women rangers who go out on daily patrols, putting their lives on the line to protect elephants and other wildlife across Africa. They are the greatest inspiration. 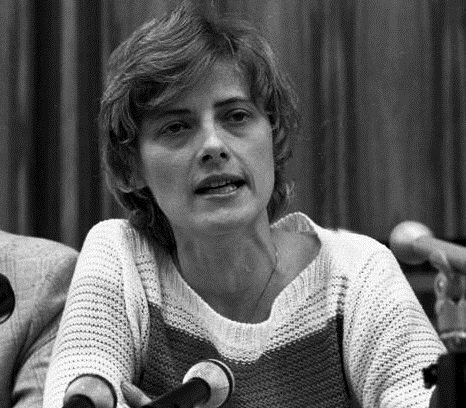 I was inspired by Petra Kelly and the women who at that time, during the 1980s and ’90’s, were fighting against nuclear weapons and the patriarchy which lifted the thinking that mutually assured destruction (MAD, the military strategy and national security policy in which full scale use of nuclear weapons by two or more opposing sides would cause the complete annihilation of both the attacker and the defender) was accepted. Petra opened my eyes to how issues of civil rights, non-violence, our environment and people could not be separated – that human rights and the environment were one, that the madness of having nuclear deterrents was driving violence. The thinking that ‘yours is bigger and more powerful than mine’ costs a lot of money and the impact was always on the poor. How that money was made – extracting natural resources and the theft of forests and lands of people whose entire existence relied utterly on both – was a massive learning curve for me. It was during this time I learned from Petra and others that being a difficult woman was not a bad thing – in fact, being a difficult woman usually meant doing what you want when you want and accepting responsibility for the consequences. I see and hear this attitude now from those who are much younger and I celebrate that, for centuries, difficult women have created change and I thank those like Petra who have gone on to do extraordinary things at a time when no-one would accept – but eventually they had to just listen and realise there was no stopping until steps were taken for change. Bravo! The recent suffrage centenary reminds me of the inspirational Ada Salter (1866-1942), president of the lesser-known Women’s Labour League which promoted the representation of women in Parliament and beyond. However, Ada, was not only an activist for women’s rights, instrumental in strikes against poor working conditions, a reformer of London slums and the first woman major within London (1922), but also an environmentalist. She believed that fresh air and nature is beneficial. She got waste ground planted with thousands of trees, campaigned against air pollution and promoted the Green Belt idea to preserve open green spaces. What a feat, now and then, to achieve both social and environmental reform. At the age of just 20, Belinda Wright, born and brought up in India, was the only woman and the youngest photographer commissioned by National Geographic to capture India’s wildlife on film. Her Emmy-winning film, Land of the Tiger, provided a fascinating insight into the lives of India’s tigers. By the early ’90s, however, tigers were being decimated by poachers and it was Belinda’s fearlessness that led her to investigate and expose how the demand for bones in China was driving the slaughter of her beloved tigers in India. 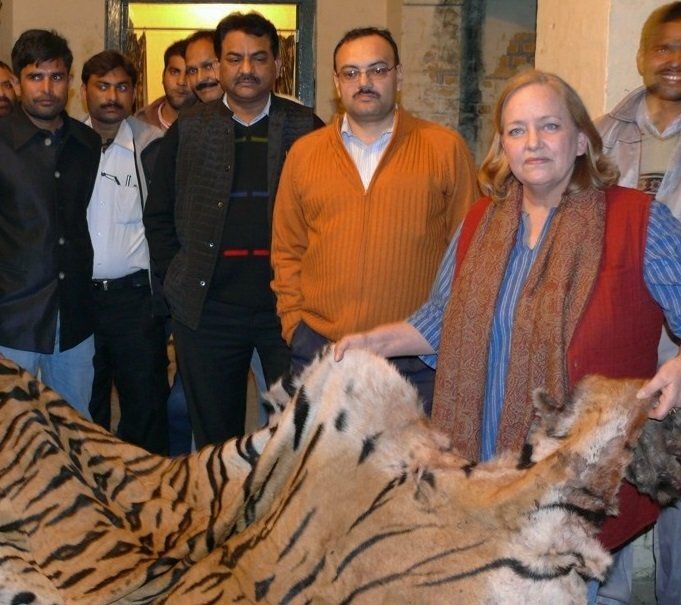 With her team at the Wildlife Protection Society of India, she mobilised and facilitated enforcement the length and breadth of the country, encouraging a professional and intelligence-led response to what she had shown was serious, transnational organised crime. Passionate, gutsy, tireless and totally committed, I have had the privilege of learning from and working with Belinda for the past 21 years. She never gives up – so nor will I. The world’s oceans are in an increasingly fragile state from plastic, noise and chemical pollution to industrial fishing but perhaps one of the greatest threats they face is climate change. Ocean warming, acidification and the melting of ice sheets will have far-reaching impacts, threatening the survival of numerous ocean wonders from awe-inspiring coral reefs to iconic species such as the polar bear. It is for this reason that I find Christiana Figueres, the former Executive Secretary of the United Nations Framework Convention on Climate Change (UNFCCC), a truly inspirational female environmentalist. Christiana assumed responsibility for the UNFCCC after the failed 2009 Copenhagen climate conference where countries failed to agree a global plan to reduce emissions. Over the next six years, she dedicated herself to rebuilding the global climate change negotiation process and was instrumental in securing the Paris Agreement. Under her leadership, an historic agreement was reached under which 195 countries committed to keep global temperature rise “well below 2°C above pre-industrial levels and pursuing efforts to limit the temperature increase to 1.5°C above pre-industrial levels”. While there is still a long way to go in tackling climate change, Christiana’s work has helped steer global action in combatting one of the greatest environmental threats ever faced. 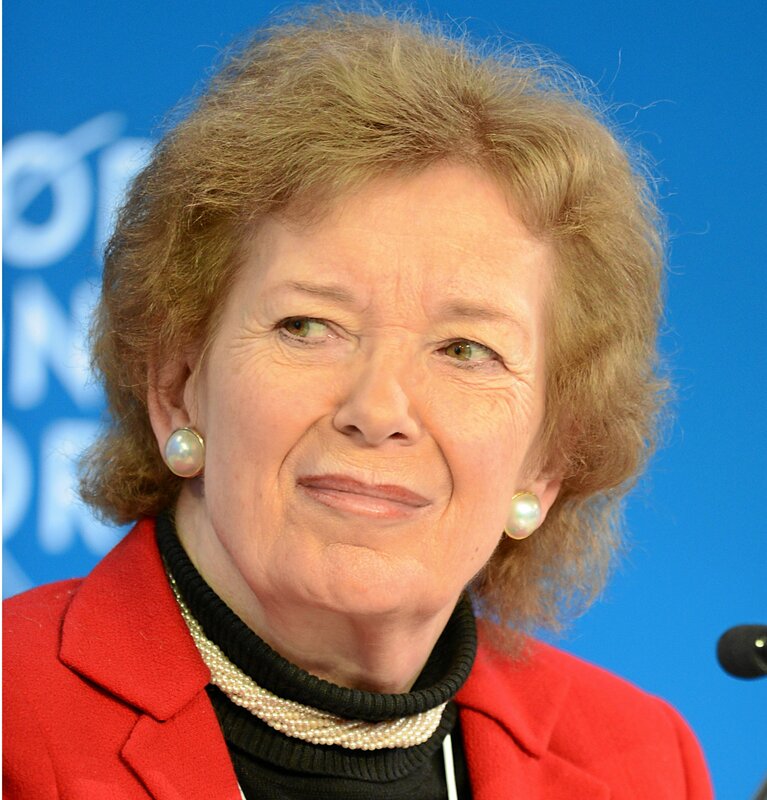 I wrote my dissertation on climate change migration and one of the names that consistently cropped up in my research was Mary Robinson. She is an inspirational figure to many, including myself. Not only was she the first female President of Ireland, she was also the United Nations High Commissioner for Human Rights. But what piqued my interest in her was her work on climate justice and climate displacement. Her Foundation focuses on securing global justice for those most vulnerable to the impacts of climate change – who are predominantly women. The human face of climate change is often forgotten or ignored but hopefully not for much longer with women like Mary leading the way. Christine Stevens (1918-2002) founded the Animal Welfare Institute (AWI) in 1951 and was its President until her death in October 2002. Long called the ‘Mother of the Animal Protection Movement’, she fought with boundless determination and compassion for five decades against the cruel treatment of animals. This elegant, softly spoken woman achieved so much with her uncompromising powers of persuasion. No fancy language, just straight facts. Even opponents called her an immortal icon. Christine and her husband financially supported EIA in its early years because they believed the world needed this young organisation. We worked side by side with her fighting for elephants, wild birds and whales. We continue her legacy, working closely with AWI today. It was always a privilege to spend time with Christine and she taught me never to shy away from speaking out against animal cruelty and exploitation. She was my mentor and will always be my hero.